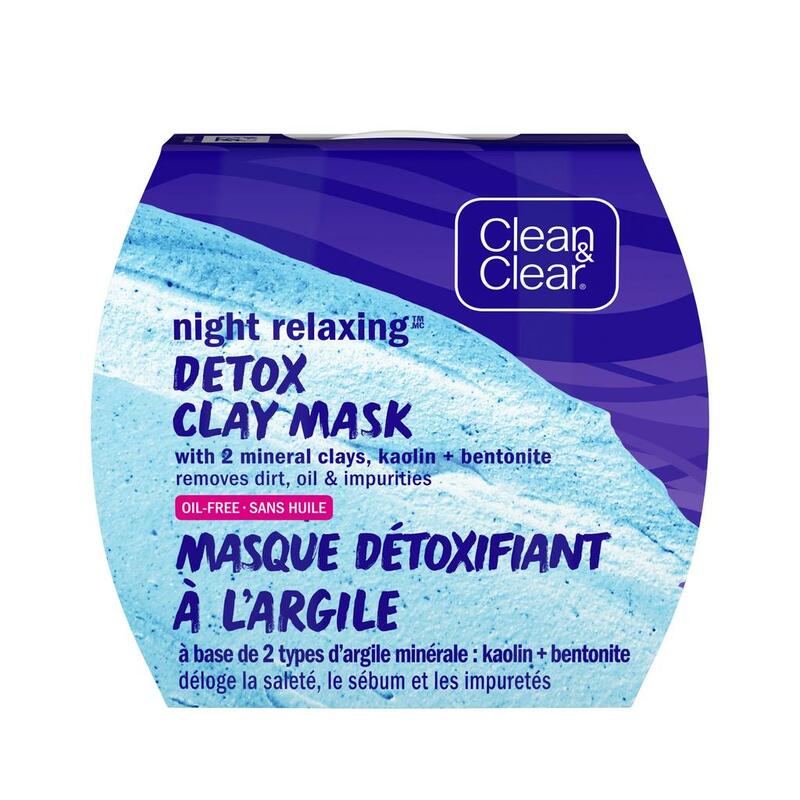 CLEAN & CLEAR NIGHT RELAXING® Detox Clay Mask (50 mL) detoxifies deep down to the pores to remove dirt, oil, and impurities from the day. Using the power of two mineral clays, bentonite and kaolin, specially designed formula helps purify and detoxify your skin before bed. Water (eau), Kaolin, Bentonite, Glycerin, Palmitic Acid, Glyceryl Stearate SE, 1,2-Hexanediol, Stearic Acid, Cetearyl Alcohol, Caprylic/Capric Triglyceride, Magnesium Aluminum Silicate, Phenoxyethanol, Caprylyl Glycol, Xanthan Gum, Parfum, Ethylhexylglycerin, Tromethamine, Disodium EDTA, Butyrospermum Parkii (Shea) Butter, Sucrose Cocoate, Chondrus Crispus Extract, Moringa Oleifera Seed Extract, Citric Acid, Titanium Dioxide, Ultramarines, Chromium Oxide Greens.